the mechanisms of brain change. training event . . .
We’re excited to present our second Psychotherapy 2.0 online training summit. If you missed last year’s summit, we enjoyed teachings from Rick Hanson, PhD, on “Positive Neuroplasticity,” Sue Johnson, PhD, on “Mastering the Core Tasks of Effective Couples Therapy,” Joan Borysenko, PhD, on “Psychotherapy and Mind-Body Medicine,” and so much more. This year features 14 all-new presentations with a wealth of cutting-edge information. As in last year’s summit, each presentation will include an in-depth training session where you will learn success strategies to use in your life and professional practice. Each live training session will be followed by a Q&A session. Neuroscience gives us map of how the brain and body work together. Clearing attachment wounds and unresolved trauma is a key to growth and healing. The causes, impacts, and latest methods for the resolution of trauma. Learn how to develop presence, inner peace, and to connect with others. 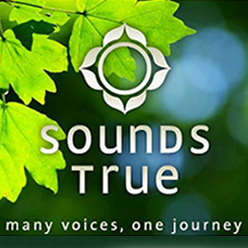 Sounds True was founded in 1985 by Tami Simon and is an independent multimedia publishing company that embraces the world’s major spiritual traditions—as well as the arts and humanities—embodied by the leading authors, teachers, and visionary artists of our time. Our vision is to inspire, support, and serve personal transformation and spiritual awakening. © 2016 Sounds True. All Rights Reserved.